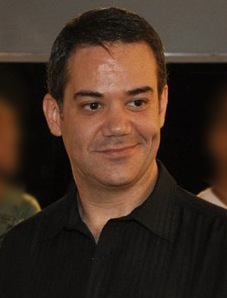 1965 - Born in São Paulo, Brazil. 1982 - Start to work as illustrator, graphic designer and publisher, and since then working for many advertising agencies and publishers, such like: J.W. Thompson, McCann Erickson, Lintas, Young & Rubican, FCB, Edson/FCB, BBDO, Ogilvy, TBWA, Wunderman, Grey, Publicis, Havas/Fuel, Desafio Global, Editora Abril, Veja Magazine, Exame Magazine, and many others. 1985 to 1990 - Teacher at Escola Panamericana de Arte (São Paulo). 1990 - Open the second studio in Lisbon, Portugal. Besides illustration and graphic design, he is also devoted to the arts, particularly to watercolours, and has taken part in several exhibitions. 2011 - Won the second HQMIX Prize, the most important graphic design prize from Brazil, for the "Ilustrar Magazine"
2013 - Member of the jury of World Press Cartoon. 2013 - Member of the jury of 10th Brazilian Graphic Desing Biennial (10ª Bienal Brasileira de Design Gráfico). 2018 - Won the PROAC Prize, from the Government of State of São Paulo, for the book "Zeppelin"